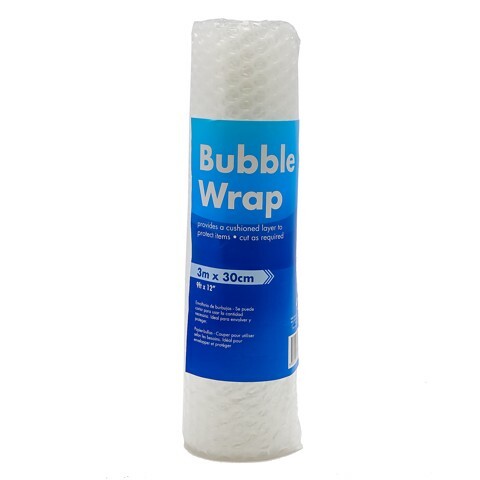 Bubble Wrap Clear 30Cmx3M. Roll Size 30 x 10 x 6cm. Clear. Plastic. 45-47G Packaging: Polybag with Colour Paper.